What do we do on earth? Are we in agreement with ourselves? Are we lying to ourselves? How do we adapt? … And what is the purpose of humanity: transhumanism or rebellion? What end, what purpose? The exhibition HUVANITE by the visual artist Vidya Juganaikloo addresses these themes in a polymorphic way through six plastic series of drawings, canvases, video, from 24 November to 11 December in Paris. The vanity ! We are not there in this particular kind of still life painting of the seventeenth century. Although … If the artist evokes man, the time that passes too quickly, fragility, destruction, even death, it is with a deep sense of color, of trait. A pencil sharp, sharp, light, sometimes raw or gnarled. « Vanity » literally means « light breath, ephemeral vapor ». This word has been formed of vain which marks the uselessness, the futility, the fragility of things, that which is swollen and empty, which is false, illusory, without any real foundation. The message being to meditate on the transient and vain nature of human life. We are right on the subject. Here, no macabre iconography. Vidya’s drawings and paintings address our relationship to life with lucidity, humor, detachment, lightness. But in HUVANITE, resonates also « humanity ». Did the artist want to remind insidiously that without art and culture, what humanity would we be? What society without art and culture? Which contains the underlying question: what humanity do we want to be? Art acts here in its reflexive and meditative function. Everyone is confronted with his philosophy of life and death in the apprehension of a contemporary reality in which the artist, like us, chooses to be optimistic, cynical, insensitive or visionary. Portraits, faces, as « new masks », remind us of the timelessness of the theme and the reflection on the future of man. 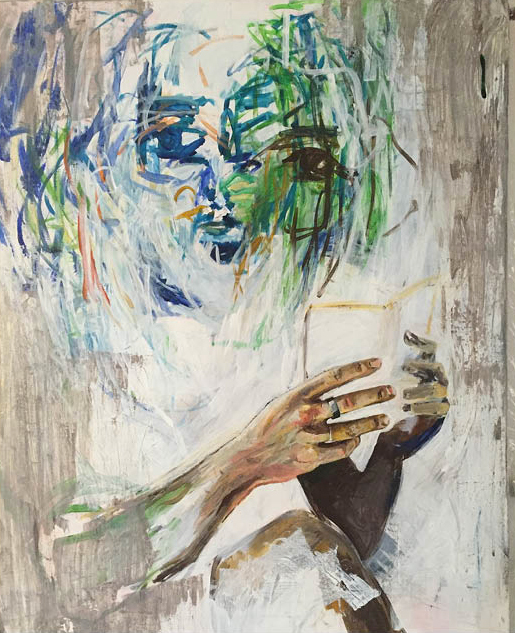 By means of drawings, but also of paintings or video projections, the artist pursues metaphysical questions more than the artistic genre in itself. The compositions are part of the heritage initiated by illustrious predecessors. While the works are characterized by an impressive realism, it is their hidden meaning, but also the technique that will touch the one who contemplates them. The exhibition makes us appreciate works unveiled or almost unveiled for a contemporary creation outside the codified representation of the classical repertoire of vanity. HUVANITE consists of 6 plastic series: Canvases (painting, bomb, ink, collage), drawings, and video. – 3rd exhibition « Aux voyages de Laure » – Oberkampf, Paris 11th – Dec 2015: 4 paintings (1mX0,7m) – 2 paintings (1mx1.30m) – 7 framed drawings. 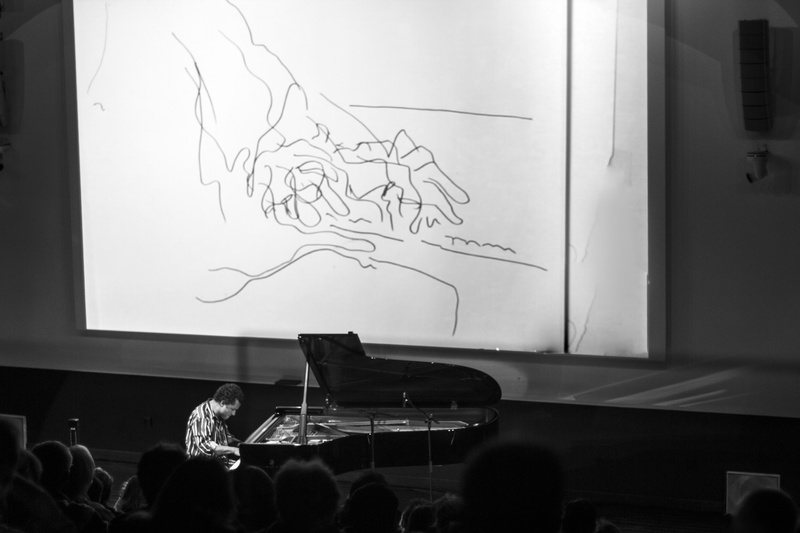 – 5th exhibition: Live performance – Projection of live drawings of the concert of Jacky TERRASSON in Montpelier on 22 October 2016.